Atlassian’s Stride and HipChat team chat tools will be discontinued following a deal struck with rival Slack – a move that has “serious” implications for users who will now need to migrate to alternative platforms. It could also erode trust in the Australian vendor, said one analyst. As part of the agreement, Slack will pay an undisclosed fee for Atlassian’s team chat assets, while Atlassian – which also owns a range of business collaboration tools, including Jira, Confluence and Trello – will make a “small but symbolically important” equity investment in Slack, CEO Stewart Butterfield wrote in a tweet announcing the deal. The decision comes less than a year after Atlassian launched Stride as a successor to the popular Hipchat tool. Atlassian had previously said it would continue to support Hipchat Cloud for existing users while it encouraged them to move to Stride. It also said it that it would be “doubling down” on Hipchat Data Center, its on-premise version of the chat tool. Slack CEO Stewart Butterfield expects that the majority of users will migrate to Slack, adding single digits of market share to its business. Around 2,600 Atlassian employees will now start using Slack following the deal; the company has encouraged its users to do the same. Cannell said that choosing a replacement for HipChat is just one part of the process of switching tools for companies. “They now have to address integrations and assess what is needed versus what is used. More importantly, users become familiar with a product and end-user habits need to adjust,” said Cannell. All of this is “unanticipated and non-productive” for user organisations: “For people who’ve been promoting the use of Hipchat, this will impact their credibility and ability to sell other changes,” he added. Still, migrating to Slack “makes sense” for many users, according to Wayne Kurtzman, a research director at IDC. For Atlassian, it makes their most popular and arguably most powerful products more central to overall business workflow, said Kurtzman. In a statement, Atlassian called Stride a “bold” project. “We knew we were taking a risk by entering an already competitive real-time team communications market, but we were willing to do the hard work necessary to build a great product,” Joff Redfern, vice president of product management said in a blog post. However the team chat market has changed “dramatically” in the months since, said Redfern, with Slack holding onto a strong position. 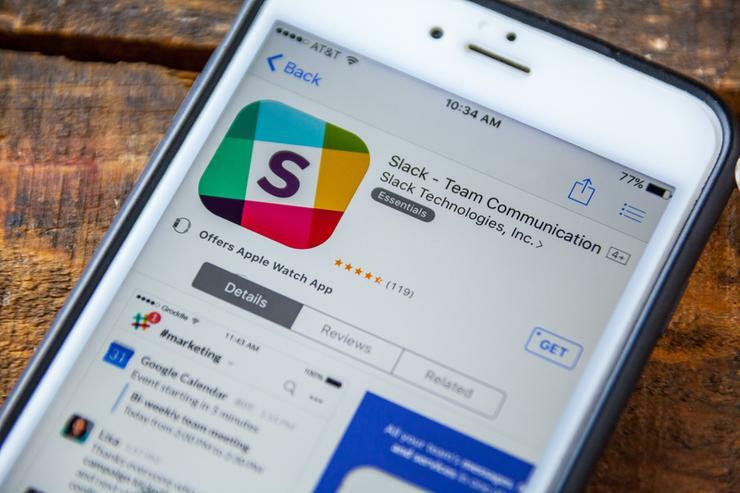 While Atlassian struggled to gain a foothold, Slack has added new users at a rapid pace, with eight million users as of May. Early in 2017, it also launched a business-focused product, Enterprise Grid, aimed at deployments in larger organisations. Others in the market have pushed ahead, too. Most notably, Microsoft has launched its own take on team collaboration with its Teams app, which integrates tightly with its other Office 365 productivity tools. More than 200,000 organizations are now using Teams, which is set to replace Skype for Business as the main communications client in Office 365. It is available to the 135 million users of the Microsoft productivity suite at no extra cost; a recently-unveiled free version does not require an Office 365 account. Cisco has also made changes to its Spark platform in recent months, rebranding it as Webex Teams, while Google has entered the market with Hangouts Chat, available as part of its G Suite portfolio. Facebook, too, has joined the fray with its Workplace enterprise social network, and it announced the acquisition of Israeli startup Redkix this week in order to build out its messaging features. “Atlassian attempted to bring more collaboration features to their customers of Jira, Confluence, BitBucket and Trello by introducing Stride. Atlassian said the Slack deal will allow it to focus on improving other areas of its business, such as expanding offerings for technical and IT team. Both firms now plan to “deepen” the existing integrations between Slack and Atlassian’s stable of tools and craft new integrations with other products. “Across our product portfolio, we have long shared many integrations, which hundreds of thousands of teams use every day,” said Redfern. Lepofsky noted that, in order to combat the likes of big players like Microsoft and Google, smaller rivals need to “find their niche and solidify their stronghold” in the market. “With Microsoft starting to focus more on developers (e.g. the Github acquisition) Atlassian and Slack need to fortify their position, and a solid combination to Slack and BitBucket/Confluence/Jira/Trello could do that,” he said.